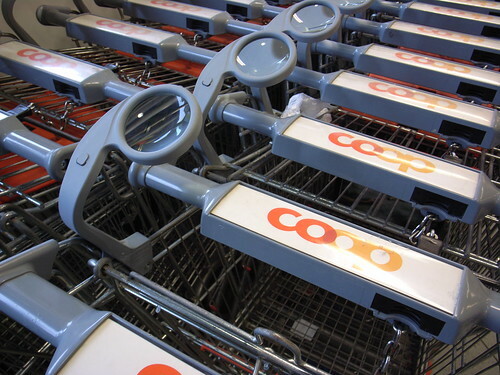 A magnifying glass added to shopping carts in my grocery store in Geneva. An interesting add-on for shoppers who may need this feature. Will help to perceive some details not easy to see. It's funny to see that while in some places shopping carts are enhanced with rfid reader, this shop has chosen another design direction to help its consumers.